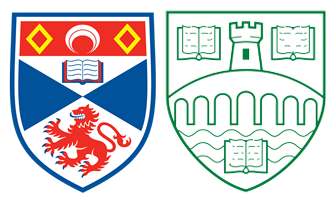 The St Andrews and Stirling Graduate Programme in Philosophy (SASP) is taught by the Philosophy Departments in the Universities of St Andrews and Stirling. The philosophy graduate programmes of St Andrews and Stirling are fully merged for all postgraduate degrees. St Andrews and Stirling together form Scotland’s premier centre for philosophy and one of the top philosophy programmes in the United Kingdom. The philosophical ambience is rigorous, friendly and co-operative. We offer graduate teaching at a level that matches the best graduate programmes elsewhere in the world, across many areas of philosophy and the history of philosophy. Our students also benefit from participation in both the Arché Philosophical Research Centre, the Centre for Ethics, Philosophy and Public Affairs, and The St Andrews Institute for Gender Studies. You can get an idea of individual research interests within SASP from the departmental websites of St Andrews and Stirling. Many recent SASP students now hold permanent or tenure-track positions in the US, the UK and elsewhere. For more details, see our placement record. In the latest Philosophical Gourmet Report SASP was ranked the 3rd best philosophy program in the UK. Both the Stirling and St Andrews philosophy departments subscribe to the British Philosophical Association/Society for Women in Philosophy’s Good Practice Scheme for encouraging the representation of women in philosophy. For more information, see the BPA/SWIP page. In addition, SASP hosts a chapter of Minorities and Philosophy. For further information about SASP, please browse this website or consult our frequently asked questions. You can contact us at sasp@st-andrews.ac.uk.